When employers are struggling to fill open positions, it becomes even more important to be very selective during the hiring process. This may seem counterintuitive, but let me explain. Do you remember a time when it was relatively easy to fill an open position? I sure do. I recall looking through a stack of applications whenever a position opened up. At that time, I had zero concern about not being able to find a qualified candidate. The labor market is just like any other competitive marketplace. There are cycles where the market is strong for a period of time and then softens for a period of time. During a soft market, like the one I just described, where qualified applicants are in abundance, each hiring decision is less critical. If a new hire doesn’t work out, it’s not a big deal. Just move on to the next person. In this environment, employers generally take less care when selecting candidates. Please don’t misunderstand me. I am not recommending the approach of just hiring anyone without much thought and trying them on for size. This is not an optimal approach in any type of labor market, whether tight or soft. I am simply suggesting that it is a common approach when there is no labor shortage. The opposite is true during a tight labor market like we are operating in today. Every hiring decision becomes very important. 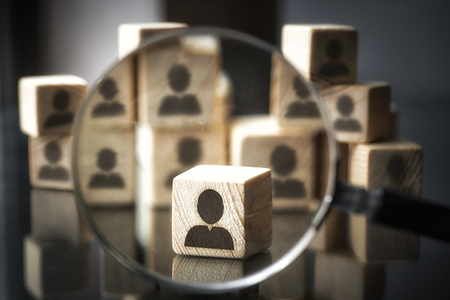 It is absolutely critical to make sure that each person selected is a good fit for the company, not only to fill an immediate opening, but to fill a longer-term need as well. If the person selected does not work out, there isn’t a lineup of people waiting to take the position. Failure is not an option. This places a huge burden on employers to ensure their recruiting and selection processes are optimal. Recruiting, selection, onboarding and employee engagement become major priorities for every employer. No longer is it acceptable for these processes to be sloppy or low priority. Take a look at your selection process. Assemble a small group of key people to do some brainstorming. How might your selection process be improved? Is recruiting and selection a top priority for those involved, or is it something to fit in if there’s time? Do the same type of analysis with your onboarding process. Finally, but most importantly, take a hard look at the engagement level of your employees, especially that of the newer people. There are powerful tools to assist your company in all of these areas. Are you using them? Employers who are unwilling to invest in these critical processes will discover that lower levels of engagement and retention are actually costing them more than they would have spent to create an attractive workplace environment to begin with. Take a look in the mirror and get moving.